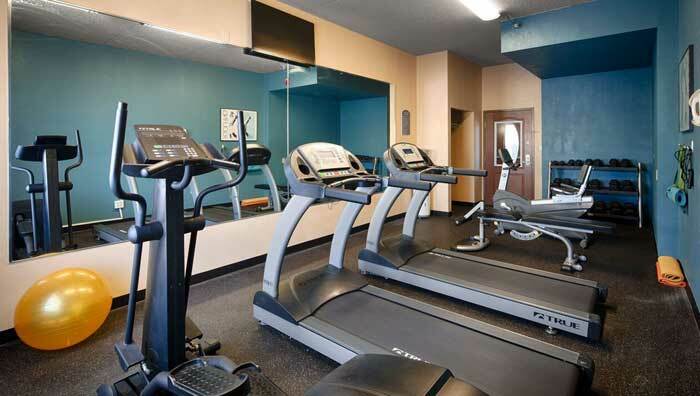 Fitness Room, Business Center, NO Pets Allowed, Close to Casino and Attractions. Take a refreshing dip in our year round indoor heated Pool. Meeting Room and setup available with over 900 square feet of space. Cable TV with Premium Channels, Fridge, Microwave, Hair Dyer, Coffee Maker . Family Suites available for our valued guests along with Romantic Spa Suites. 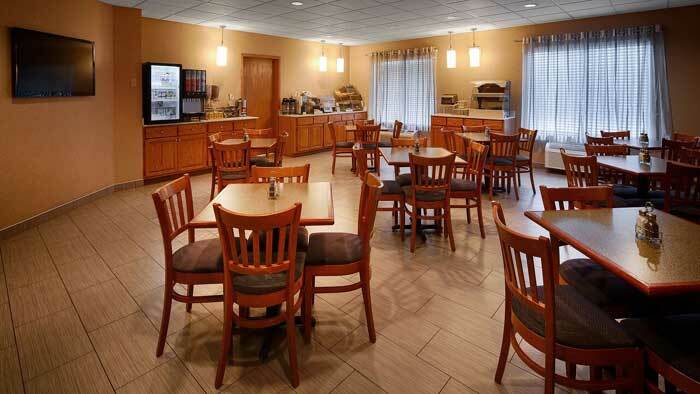 This speedway hotel is perfect for business and leisure travelers alike, as we are just minutes away from Newton's top businesses and attractions. If you are here on business in Newton, Iowa our hotel's location is in close proximity to several businesses such as Newton Manufacturing, Rock Communications, Ambassador Steel, Skiff Medical Center,T.P.I. Composite, and Trinity Towers. Our corporate guest can also take advantage of the on-site meeting room which is 900-square feet. A 24-hour business center is included and it offers print, copy, and Internet services for your convenience. Looking for somewhere to stay near the Iowa speedway? Our hotel guests are just 10 minutes from this fast-paced sight. Additional nearby family attractions include the Adventureland Amusement Park and Lake Red Rock. Adults can enjoy an exciting evening at Prairie Meadow Racetrack and Casino. 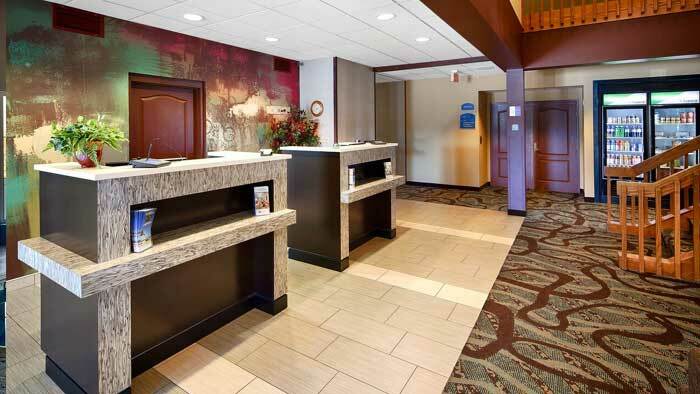 Staying close to the speedway our hotel guests have the ultimate in a convenient location and in great amenities as we provide free HSIA, a complimentary hot breakfast each morning, which features our famous cinnamon rolls, and a well-equipped fitness center. 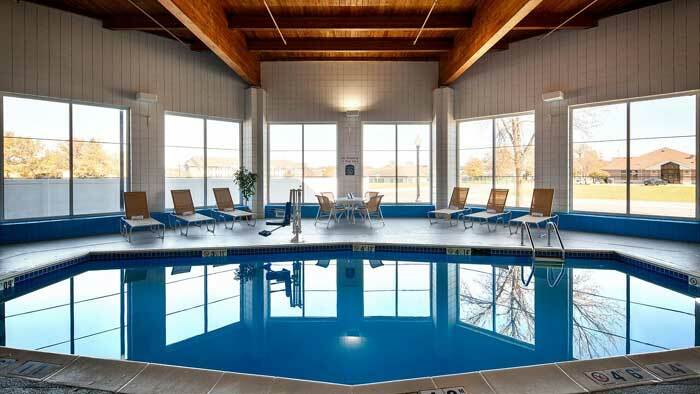 While in Newton, Iowa our hotel's guests can also relax in an indoor pool and whirlpool after a long day of meetings or sightseeing. 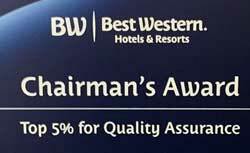 Make your reservations for our Best Western Holiday Manor Newton hotel. Activities : Newton is the perfect Central Iowa get-a-way. Just 30 miles from Des Moines and right along Interstate 80! Enjoy the outdoors at the nearby dog park or visit the beautiful arboretum and botanical gardens. Airport : Newton Municpal Airport 2901 Rusty Wallace Dr, Newton, IA 50208 (641) 792-1292 Des Moines nternational Airport 5800 Fleur Dr, Des Moines, IA 50321 (515) 256-5050. Des Moines International Airport is located approximately 8,0 kilometers (5,0 miles) southeast of West Des Moines and about 8,7 kilometers (5,4 miles) southwest of Des Moines. Des Moines International Airport IATA code is DSM. Attractions : Newton is the perfect Central Iowa get-a-way. Visit the NASCAR-owned Iowa Speedway; or if your an art and sculpture enthusiast and would like to see over 90 installations of sculpture, bas relief and colorful murals; love to golf or have your 4-legged friend enjoy the outdoors at the nearby dog park; visit the beautiful arboretum and botanical gardens; or want to tour the Maytag Dairy Farms and sample their famous Maytag Blue Cheese…Newton has many attractions making our community the perfect target for your fun-filled weekend vacation. Business : Business in Newton strives to improve the economic well-being of the Newton, Iowa community. Newton Manufacturing Corporation 1123 1st Ave E, Newton, IA 50208 (641) 792-4121 Newton Manufacturing is a Top 40 promotional products distributor specializing in products and programs to build your brand, reduce costs, and move people to action. Dining : Discover the best restaurants in Newton, Iowa. From local restaurants to fine dining you'll be sure to find what your looking for! Golf : How exciting to be able to practice your golf game year round! Here in Newton Iowa you can do just that! Government : The Newton community has so many great amenities – excellent schools, unique entertainment venues, an ideal location – but many people don't know about them. This campaign is an effort to change that. We want people in Des Moines, Ankeny, Grinnell, Iowa City, and the whole state of Iowa to know what Newton has to offer. We do not want to be a well-kept secret; we want to be known. Hospitals : Skiff Medical Center 204 N 4th Ave E, Newton, IA 50208 (641) 792-1273 Skiff Medical Center is a fully owned hospital of Mercy Medical Center -- Des Moines and a member of Mercy Health Network. standalone, not-for-profit organization. It is located in the city of Newton, Iowa, county seat of Jasper County. Positioned on Interstate 80, the nation's only east/west transcontinental interstate highway, Newton is about 30 miles east of the Des Moines metropolitan area, which has a population in excess of 400,000. Shopping : Shopping abounds in the Newton area. There is something to meet every shopping need and want for both residents and visitors.